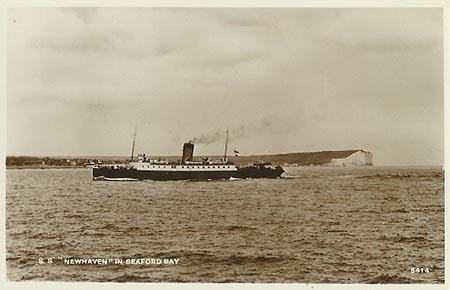 This page is devoted to postcards and photographs of the Newhaven to Dieppe services of the London, Brighton & South Coast Railway (LBSC). An alphabetical list of ships shown on this page is shown below. The Table beneath gives links to complete history pages on selected individual ships. Below the table is a Fleet List in chronological order. Both British and French-flagged vessels are shown on this page. In 1790 sailing ships left Brighthelmston (later Brighton) on Tuesdays for Dieppe, returning on Saturdays. 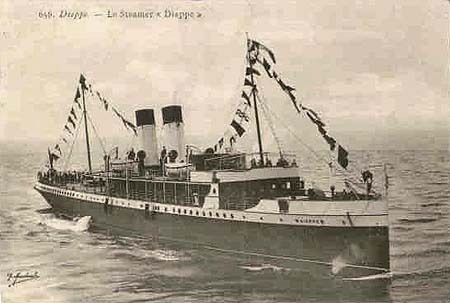 By 1817 the service had become daily, and the first steamer Majestic had started running from Brighton to le Havre. 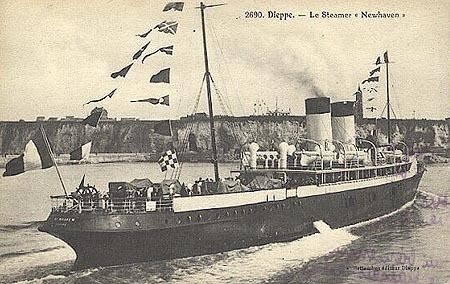 In 1824 the General Steam Navigation Company (GSN) began services from Newhaven to Dieppe with the Rapid and Magician. The railways reached Brighton in 1841 and Newhaven in 1826, and the London, Brighton & South Coast Railway (LBSC) was formed in 1847. They formed and financed the Brighton & Continental Steam Packet Company in 1847 because railway companies were not allowed to run steamer services at this this time. 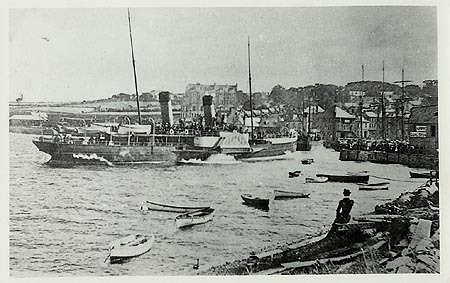 Services from Brighton (using vessels based at Shoreham) proved impractical and so the river at Newhaven was dredged to allow ferries to be berthed adjacent to a branch from the railway. 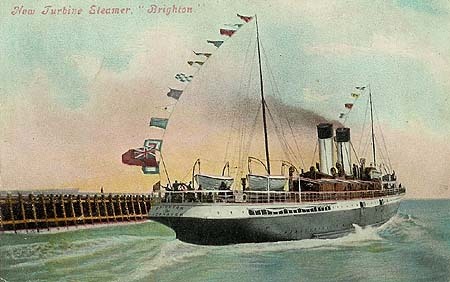 The Brighton & Continental Steam Packet Company was deemed to be illegal by the courts and so other operators (GSN and then Maples & Morris) ran the initial services. Southern Railway - Page 1 - Dover/Folkestone Services - New! Southern Railway - Page 2 - Newhaven Services - New! Southern Railway - Page 3 - Southampton Services - New! Southern Railway - Page 4 - Isle of Wight Services - New! When the LBSC began running their own steamers in 1867, they acquired the two-funnelled passenger paddle steamers: Rouen (1853), Lyon (1) (1856), Orleans (1856), Marseilles (1864) and Bordeaux (1) (1865) from the Maples & Morris contract. They also received the single screw cargo vessels: Sussex (1) (1862) and Normandy (1) (1863). Photos of these vessels are not currently available. 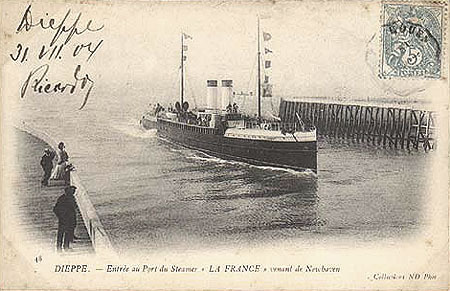 Normandy (2) and Brittany (1) were built in 1882 for the LBSC. They were sold in March 1902 for service with Liverpool and Douglas Steamers, a rival of the Isle of Man SP Co, but the company failed in December the same year. 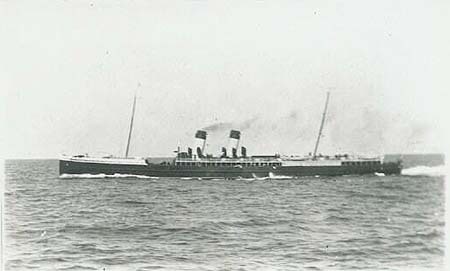 Brittany (1) was then scrapped, but Normandy (2) ran for the Red Funnel Line of James R.Richards, although owned by his Normandy SS Co. 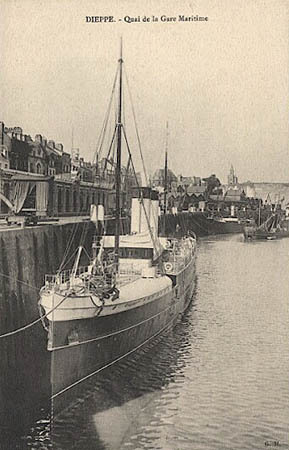 This company ceased in 1907, and Normandy (2) was scrapped in Rhyli in 1909. 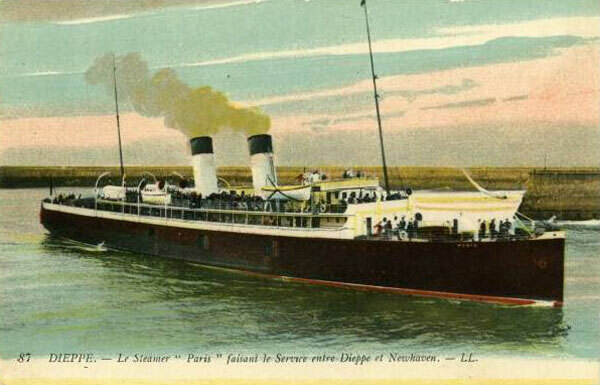 Postcard of Normandy (2) after sale by the LBSC. 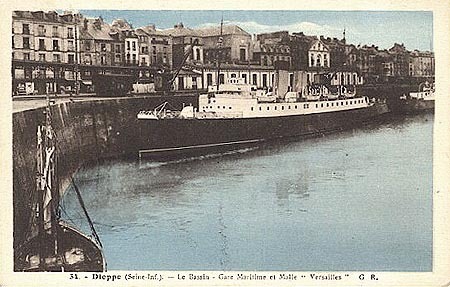 Newhaven-Dieppe, 1903 sold to Barrow SN Co, renamed Duchess of Buccleugh. 785 gross tons. 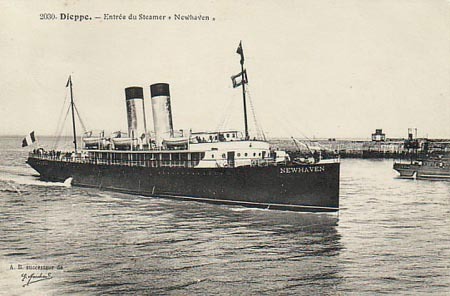 Newhaven-Dieppe, 1912 sold to the Shipping Federation. 785 gross tons. 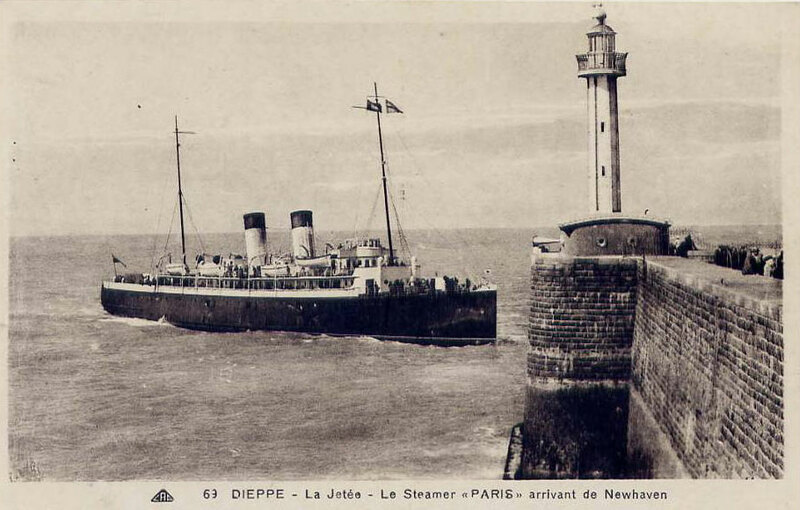 Newhaven-Dieppe, 1906 sold renamed Celia. 808 gross tons. 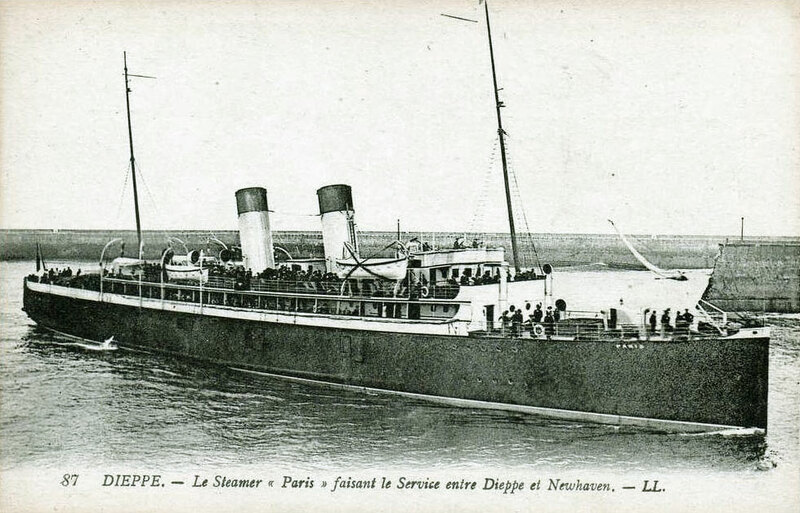 Tamise was built for the Newhaven-Dieppe route in 1893. She was scrapped in 1913. Tamise was 953 gross tons. 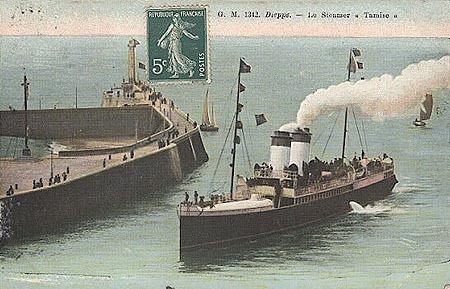 Postcard of Tamise arriving at Dieppe. 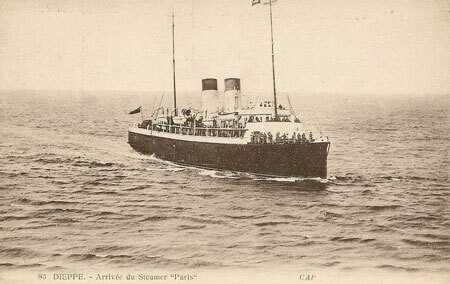 Calvados was built for the Newhaven-Dieppe route in 1894. 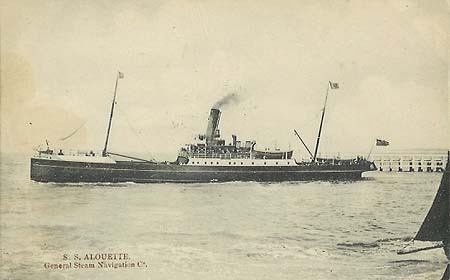 In 1901 she was sold to General Steam Navigation Co, and was renamed Alouette (1). Calvados was 570 gross tons. GSN company postcard of Alouette. 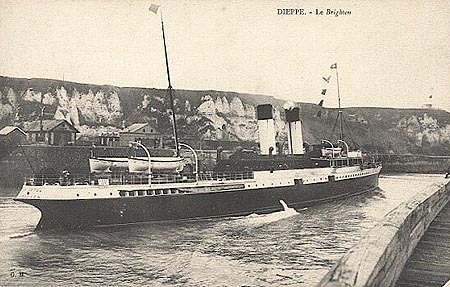 Seaford was built for the Newhaven-Dieppe route in 1894. 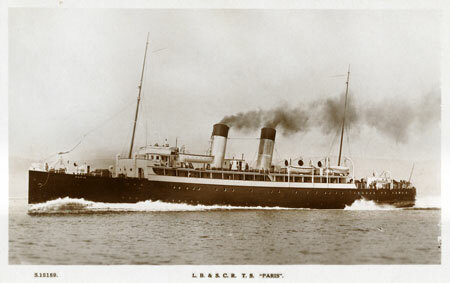 She sunk in a collision off Newhaven with the Lyon. Seaford was 997 gross tons. 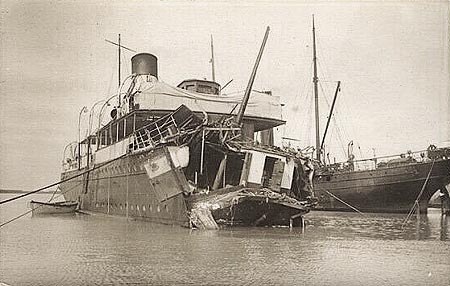 Postcard of Seaford after her collision. 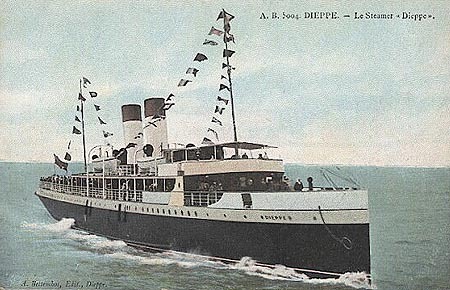 Sussex was built for the Newhaven-Dieppe route in 1896. 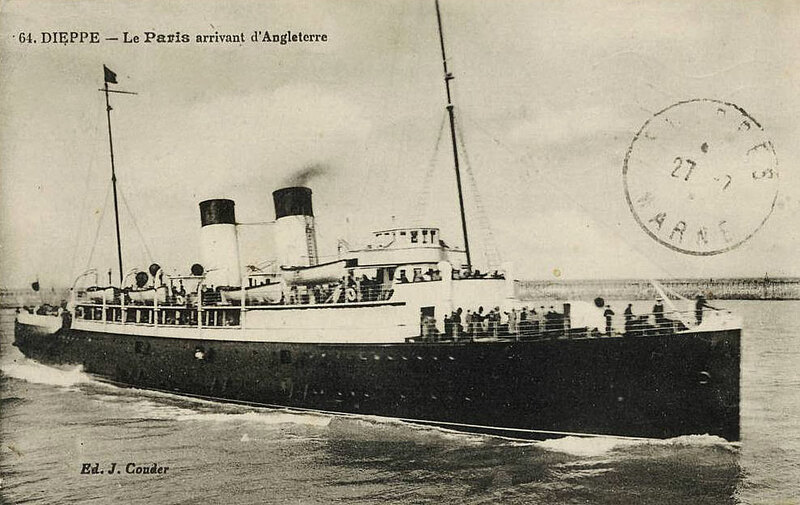 In 1920 she was sold to Greece, and renamed Aghia Sophia. Sussex was 1565 gross tons. 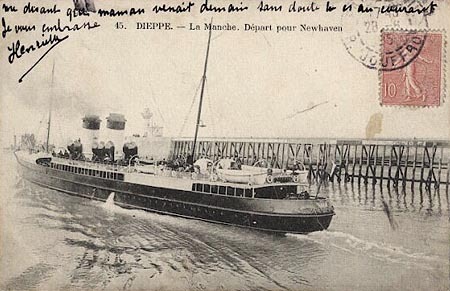 Manche was built for the Newhaven-Dieppe route in 1897. 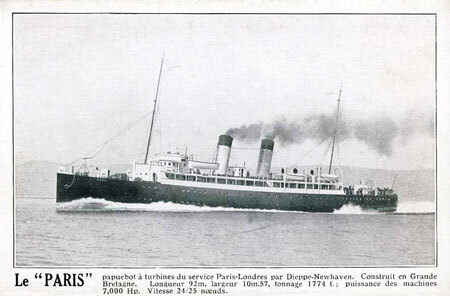 In 1913 she was sold to Bordeaux Chamber of Commerce, and renamed Le Verdon. Manche was 978 gross tons. 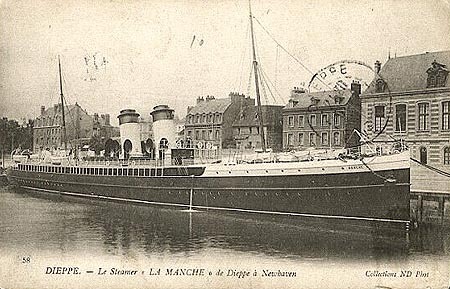 Postcard of Manche at Dieppe. La France was built for the Newhaven-Dieppe route in 1899. In 1923 she was scrapped. La France was 729 gross tons. 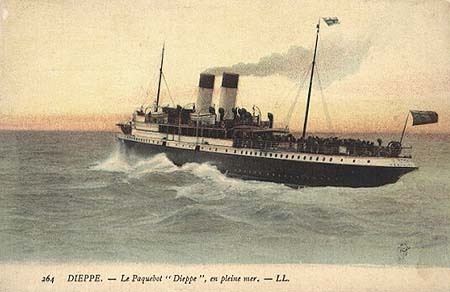 Postcard of La France arriving at Dieppe. Arundel was built for the LBSC Newhaven-Dieppe route in 1900, and was 1067 gross tons. She was scrapped in 1934. 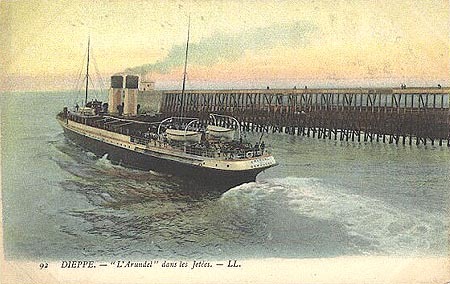 Postcard of Arundel leaving Dieppe. Brighton (3) was built for the LBSC Newhaven-Dieppe route in 1903. In 1930 she was sold to Lord Moyne, and converted into the private yacht Roussalka. Brighton (3) was 1129 gross tons. 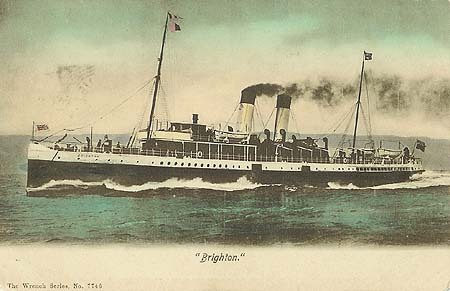 Postcard of Brighton leaving Newhaven. 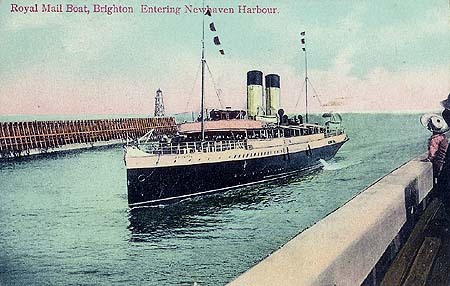 Postcard of Brighton arriving at Newhaven. 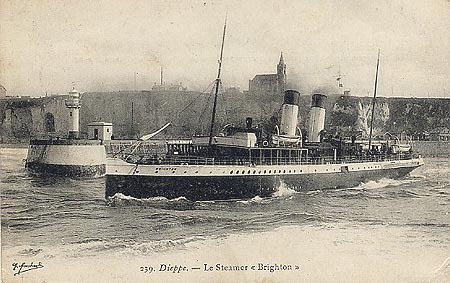 Postcard of Brighton leaving Dieppe. Postcard of Brighton arriving at Dieppe. 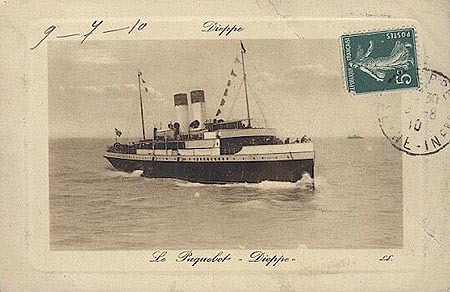 Postcard of Brighton at Dieppe. 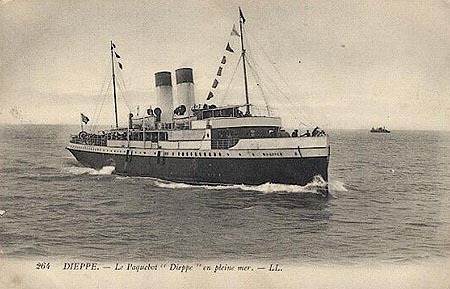 Dieppe (3) was built in 1905 for the LBSC Newhaven-Dieppe route. In 1933 she was sold to Lord Moyne, and converted into the private yacht Rosaura. Dieppe (3) was 1210 gross tons. 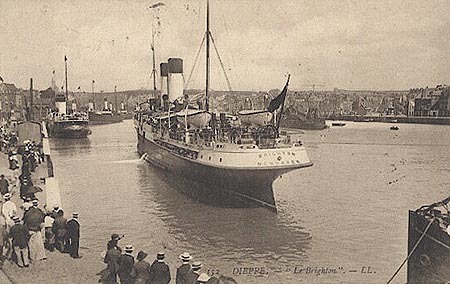 Postcard of Dieppe arriving at Dieppe. 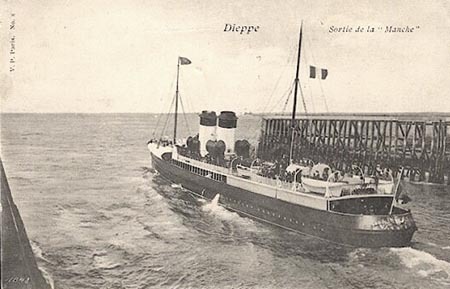 Postcard of Dieppe leaving Dieppe. 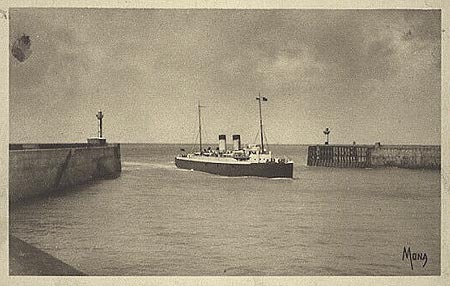 Kingsway postcard of Dieppe arriving at Newhaven. 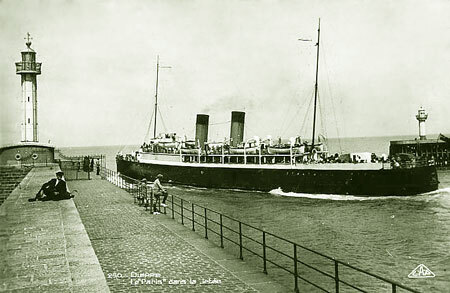 Brittany (2) and Normandy (3) were built in 1910 for the Newhaven-Caen route of the LBSC. They were sold to the LSWR in 1912, retaining their names. 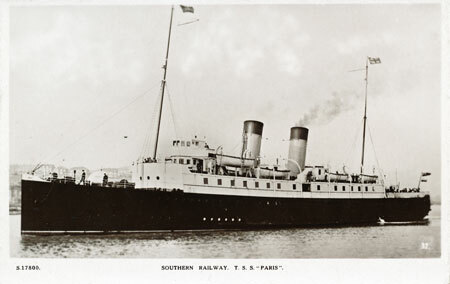 Normandy (3) was lost in 1918, but Brittany (2) passed to the Southern Railway in 1923. 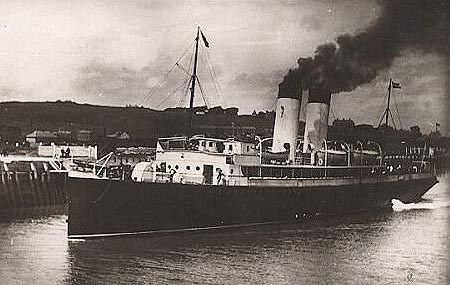 She was renamed Aldershot in 1933 when the new Brittany arrived, and was sold to Italy in 1936, being renamed Hercules. 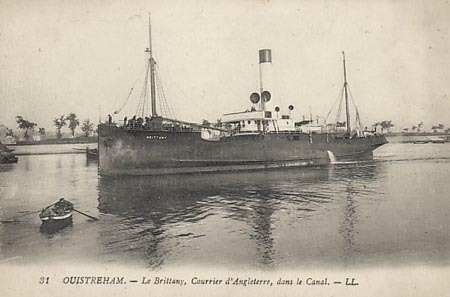 Postcard of Brittany (2) at Ouistreham (port of Caen). 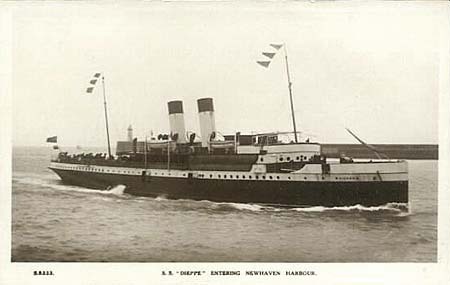 Newhaven (2) was built in 1911 for the LBSC Newhaven-Dieppe service. She was scrapped in 1947. Newhaven (2) was 1655 gross tons. Postcard of Newhaven (2) arriving at Dieppe. Postcard of Newhaven (2) at Newhaven. Postcard of Newhaven (2) at Newhaven after rebuilding. Postcard of Newhaven (2) arriving at Newhaven after rebuilding. 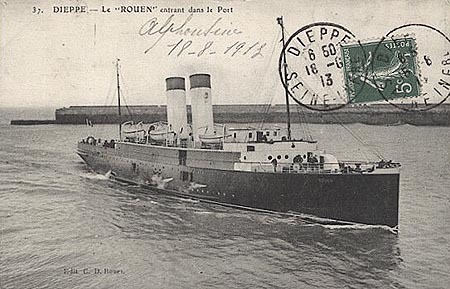 Rouen (3) was built for the LBSC Newhaven-Dieppe route in 1912. She was scrapped in 1947. 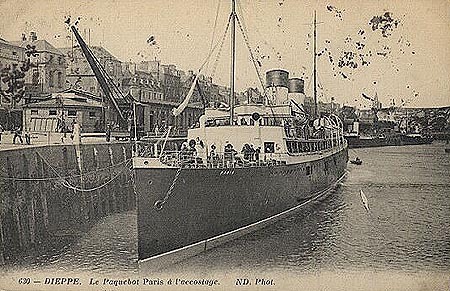 Postcard of Rouen (3) arriving at Dieppe. 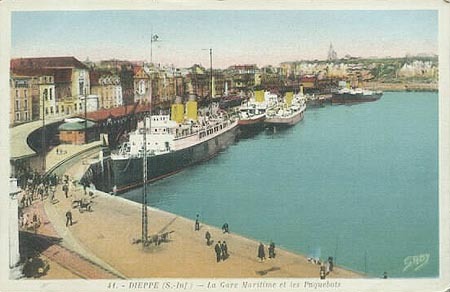 Postcard of Rouen (3) at Dieppe. 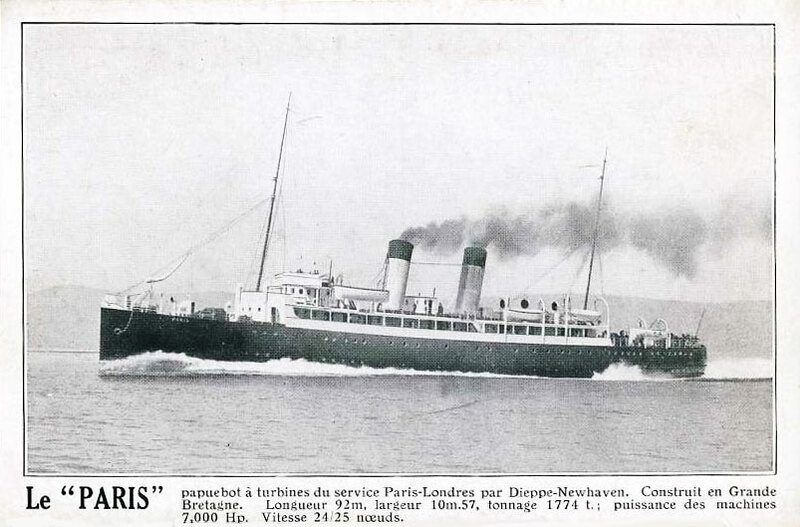 Paris (4) was built for the LBSC Newhaven-Dieppe route in 1913 by William Denny & Bros, Dumbarton. She was ordered in 1911 and after some delay the LBSC accepted the proposal of Parsons that she should have geared turbines as had been fitted to the LSWR steamers Hantonia and Normannia, although these were night boats of only 6000shp. Paris achieved 24.76 knots on trials and arrived at Newhaven on 14th July 1913. On an initial trip to Dieppe she averaged 25.07 knots. She could carry 968 passengers and had 122 first class berths in single and double cabins, plus 128 second class berths in an open saloon. She was the first LBSC ship to have a cruiser stern. During WW1 she was used as a minelayer, having high speed and shallow draught. returned to her owners after the war. 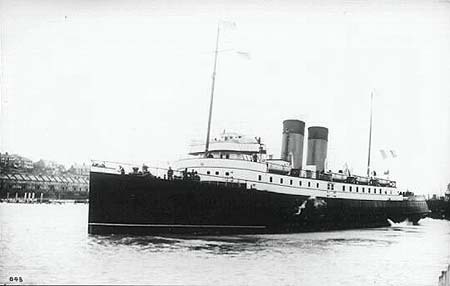 In 1928/9 was was extensively refitted by her builders, including a plated in promenade deck. In 1932 her original coal-fired boilers were replaced with larger oil fired examples. 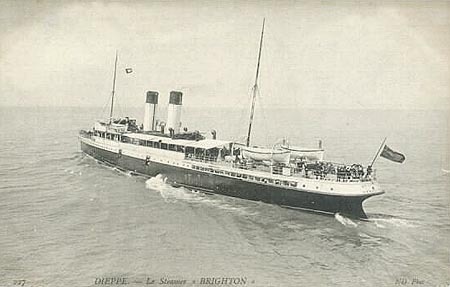 From 1934, after the delivery of the new Worthing and Brighton, she operated day trips to Dieppe from Brighton Palace Pier on Tuesdays and Thursdays (previously run by the Arundel). 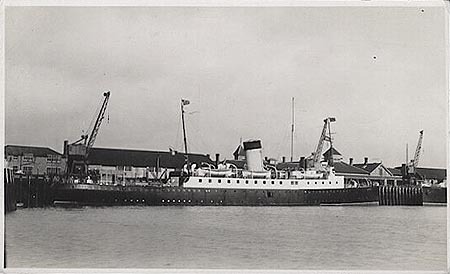 She was bombed and sunk at Dunkirk while a hospital ship in 1940. 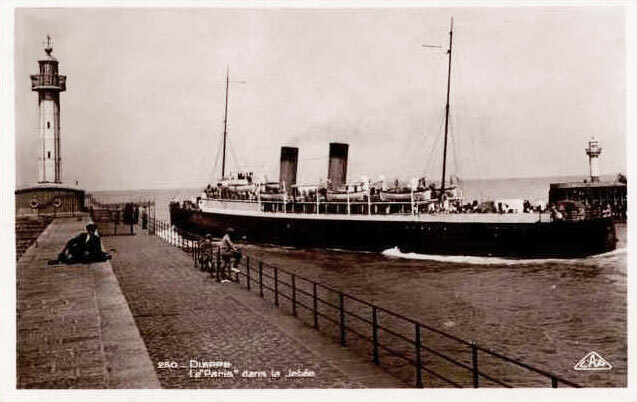 She was the only ship to enter Calais during the evacuation and then made five trips to Dunkirk. She was lost on her 6th outward trip and 20 crew were killed. 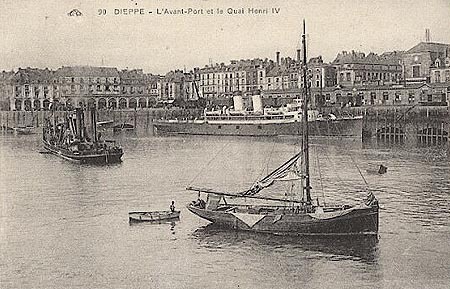 Postcard of Paris at Dieppe. 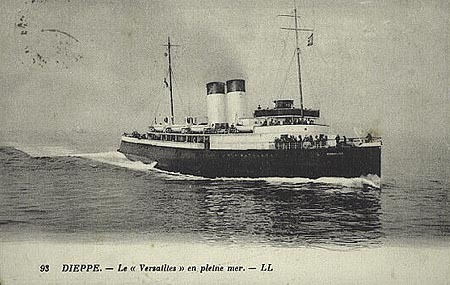 Versailles was built for the LBSC Newhaven-Dieppe route in 1913. She was scrapped in 1945. Versailles was 1903 gross tons. 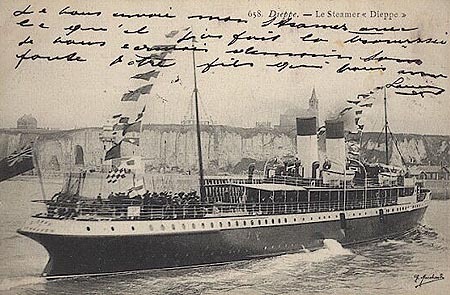 Postcard of Versailles arriving at Dieppe. 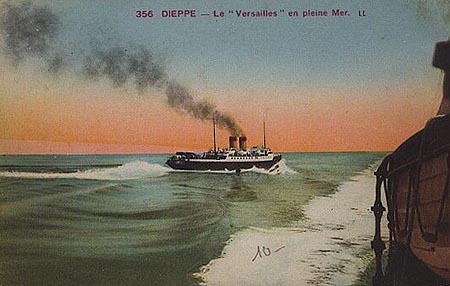 Postcard of Versailles at Dieppe. Photographic postcard of Versailles at Newhaven.